To begin, have students log in to their Wixie account. 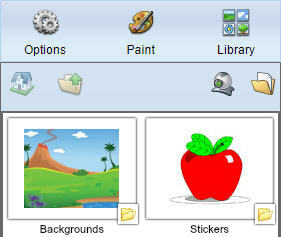 When Wixie opens, ask them to click the Projects button at the top of the screen. Have students click the Templates tab. Click the Timeline template to get started. Simply click each text box to enter dates or events. 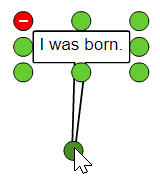 Click and drag the tail on the box so it matches the correct location on the timeline. 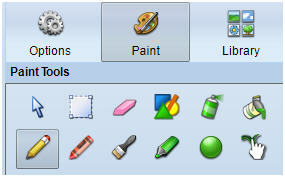 Click the Paint button on the toolbar to draw original illustrations. Click the Library button to find and add matching images. Images from the Stickers library may add on top of text, so drag the middle of the image to move it. Images from the Backgrounds get added behind all text and artwork. A student's timeline will reflect the quantity and complexity of the information and ideas they are sharing. 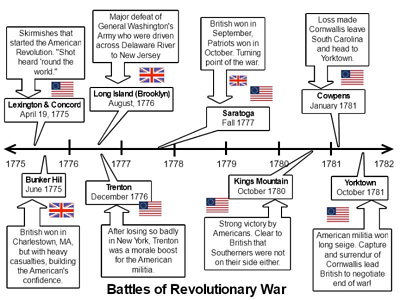 As students build skills using Wixie, have them extend their work to include a full page of information, including images and voice narration, for each event in the timeline.